SAN FRANCISCO — Bay Area Film Events, CinemaSF and 3 Fish Studios present Godzilla Night 7, featuring three Toho classics, on Saturday and Sunday, Aug. 25-26, at the historic Balboa Theater, 3630 Balboa St. in San Francisco’s Richmond District. • “Shin Godzilla” (2016) on Saturday and Sunday at 7 p.m. 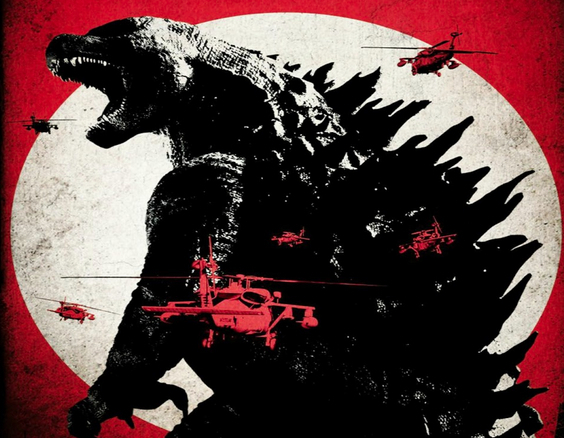 The 31st film in the series, this film is a reboot that details Godzilla’s origins. • “Mothra” (1961) on Saturday at 3 p.m. and Sunday at 9:30 p.m. A giant, ancient moth begins to attack Japan when coming to the rescue of its two foot-tall worshippers who were taken by shipwreck survivors. • “King Kong vs. Godzilla” (1962) on Saturday at 9:30 p.m. and Sunday at 3 p.m. A pharmaceutical company captures King Kong and brings him to Japan, where he escapes from captivity and battles a recently released Godzilla. Special guests include Steve Ryfle and Ed Godziszewski, the authors of the biography “Ishiro Honda: A Life in Film from Godzilla to Kurosawa.” The event will also feature toy vendors Kong’s Cave of Collectibles and Vinyl Kaiju Legion; artists Gaz Gretsky, Nick Shev and Lenny Romero; prizes; and zany food trucks. Tickets: $12.50 per screening, $20 for all-day passes. For more information, call (415) 221-8184 or visit www.cinemasf.com/balboa. Also upcoming at the Balboa Theater: “Enter the Dragon” and “The 36th Chamber of Shaolin” on Aug. 28; “Crazy Rich Asians” from Aug. 31 to Sept. 6; and “Akira” on Sept. 17.